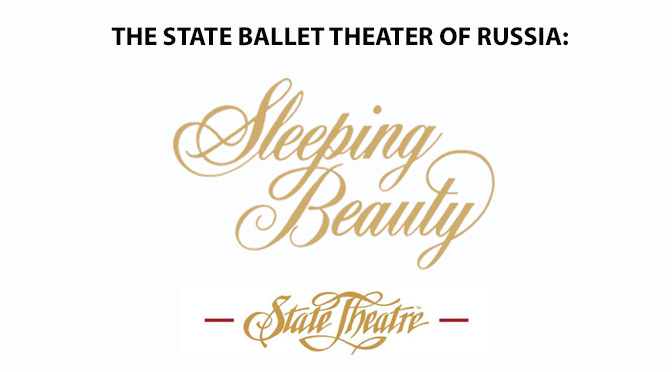 I was able to witness one of the classical repertories most famous ballets, Sleeping Beauty at the State Theatre in Easton on Thursday, January 25th. The show was presented by the State Theatre of Russia which is under direction of award winning dance and Moiseyv Dance Company, soloist Nikolay Anokhin. As I made my way into the theatre, the volunteers were noticeably attentive in showing me where my seat was and the direction I needed to go, which was helpful since I was distracted and in constant “ahs” of the theatre it self. It was my first time at the State Theatre – and at a professional ballet performance – and the moment I walked in I immediately felt the warmth of beauty with the baroque detail style of architecture it had to offer. Every theatre needed to look and feel this way. Sleeping Beauty first made its appearance at the Mariinsky Theatre in St Petersburg Russia on January 15th, 1890 –its been around a lot longer than Disney’s movie, which is my only encounter of the fairy tale – by Playwright Ivan Vsevolozhsky and composed by Pyotr Ilyich Tchaikovsky, who also composted Swan Lake and The Nutcracker. Not until after Tchaikovsky death, in 1893, did the ballet grew in popularity and would be performed 200 times over the next 10 years. Then, almost 50 years after its premier in Russia, did this timeless tale make its way to the United States on February 12, 1937 by the Philadelphia Ballet and designed by Catherine Littlefield. The passion showed throughout the entire performance as the dancers graced the stage with their elegance and poise. Each movement and transition was strong and effortless making it all look way too easy. It was as if they were walking on clouds, they were soft and sophisticated with a fairy like character to them. It was a different take on storytelling, no dialogue and acting out the story through body movement to create, to communicate, and express emotion that goes along with the music. The storyline of Sleeping Beauty become secondary and the ballet performance itself was primary. The addition to a live orchestra would have enriched the whole experience. All in all, the State Theatre brought a night of elegance with the everlasting tale of Sleeping Beauty.